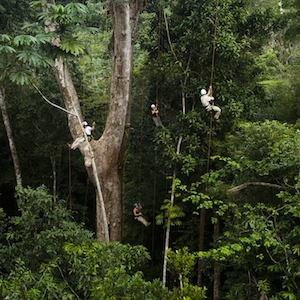 Tropical Tree Climbing, an eco-tourism company in Brazil, needed help filling spots for its annual tree climbing expedition that promised participants a rare look at the Amazon jungle – from atop of the rain forest’s canopy. Not for the faint of heart, this expedition needed to attract a unique group of people wanting an adventure of a lifetime. Gray PR set out on its own adventure to promote this unique experience in the states. We reached out to travel reporters and like-minded organizations across the country. Reporters picked up the news quickly, with stories running in the Los Angeles Times, Chicago Tribune, AARP’s The Magazine, Planet Green and more. Coverage was also garnered on social media sites and on websites promoting tree climbing and the conservation of the Amazon forest. Each of the eight slots were filled with adventure seekers from across the country, including a duo of 70-something adrenaline junkies. Many others expressed interested and were placed on a waiting list for the next expedition.